When you stay at Domain Serviced Apartments in Ascot, you'll be connected to a shopping center, within a 15-minute walk of Portside Wharf and Brisbane Cruise Terminal. 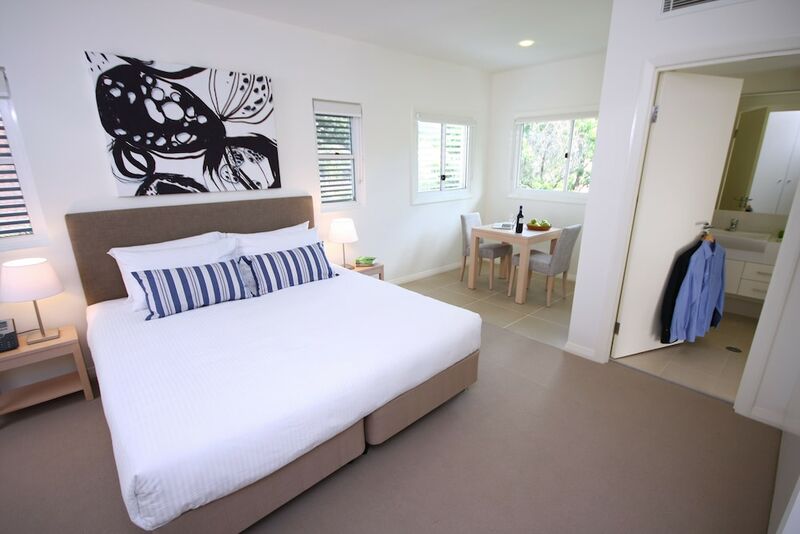 This 4-star apartment is 4.7 mi (7.5 km) from Suncorp Stadium and 4.9 mi (7.9 km) from Roma Street Parkland. Make yourself at home in one of the 18 individually decorated guestrooms, featuring microwaves and espresso makers. Your Select Comfort bed comes with premium bedding. 40-inch LCD televisions with digital programming provide entertainment, while complimentary wireless Internet access keeps you connected. Bathrooms have complimentary toiletries and hair dryers. Domain Serviced Apartments features tour/ticket assistance, laundry facilities, and express check-in. Wireless Internet access is complimentary. This business-friendly apartment also offers express check-out and an elevator (lift). Limited complimentary onsite parking is available on a first-come, first-served basis. Domain Serviced Apartments is a smoke-free property. Guests will be given their room number and security access PIN by email or text message before check-in for access to the apartments' lobby, car park and accommodation.